Anthony Le Donne | Amazing Lookalike! On the left is Anthony Le Donne, Assistant Professor of New Testament at United Theological Seminary. 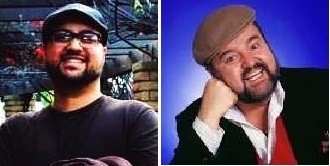 On the right is Dom DeLuise, actor and chef.